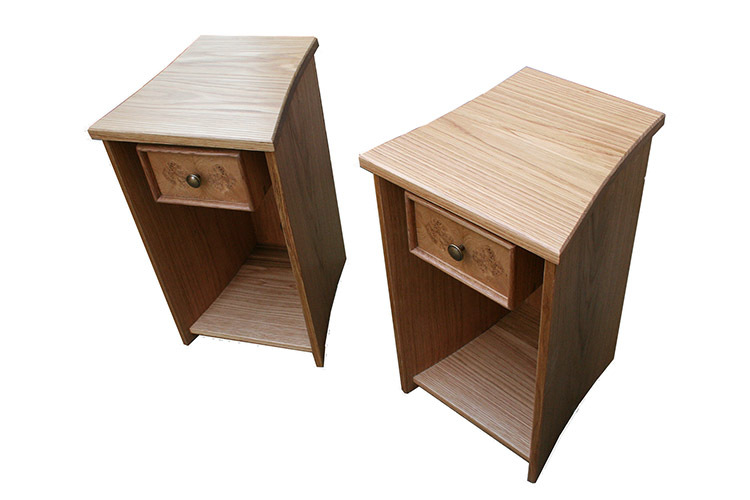 A pair of bedside cabinets in oak and burr oak. 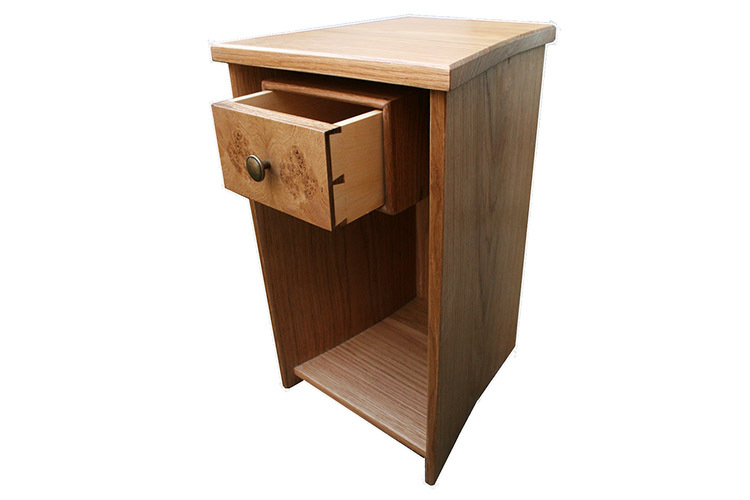 The drawer appears to float below the top of the cabinet. These cabinets were made to match a wardrobe which you can see here. 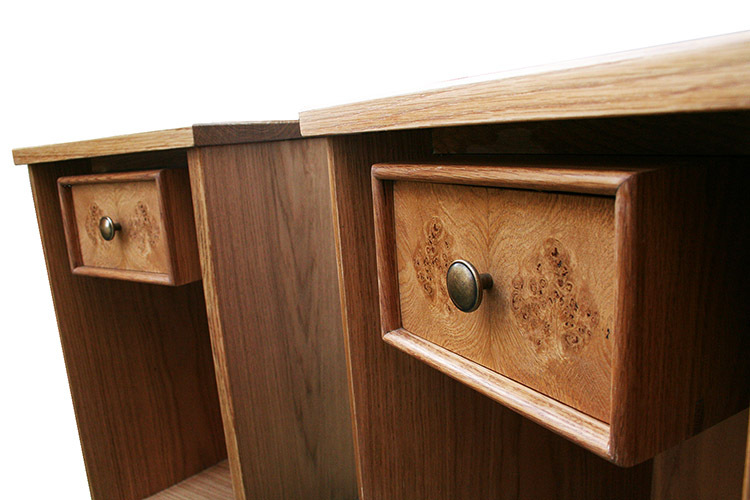 The fronts of the drawers are veneered in book matched burr oak. 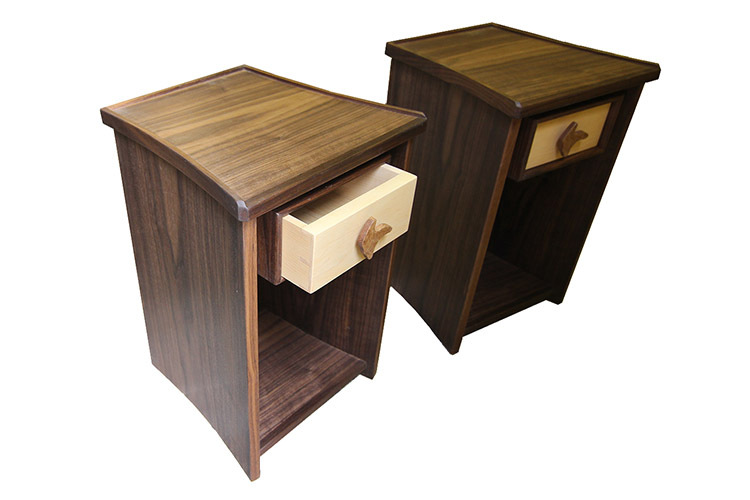 These cabinets are also shown in walnut and maple.